Straight-up SF is a rarity in the Carina Press catalogue, and so I’m pleased to give some signal boosting help to Timothy S. Johnston, who’s been writing the SF thriller miniseries The Tanner Sequence. 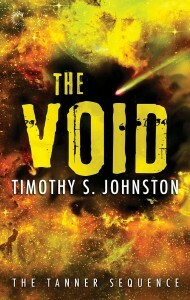 Book Three of this, The Void, releases on March 30th. 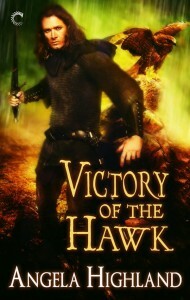 And his protagonist, homicide investigator Kyle Tanner, has a very clear and very urgent goal: escape. They say in our society that if you just follow the rules and shut up, everything will be fine. No one’s hauled away for days of torture, the worst part of which is watching your own family slaughtered. Just shut up and obey. You see, when abuse of power is going on all around you every single day, it can get to you. You start to fantasize about what you could do. How you could hurt them. How you could make them pay for the things they’ve done. But most important, you start to plan. What would it take to get away from them? To just … run? The military rules the human race now. They control every aspect of our society. From art to commerce to travel. It’s the most restrictive time in the history of humanity. The fact that I’m a lieutenant in the military doesn’t exactly make it easy for me. I try to tell myself that at least I’m doing some good. At least I’m helping people, helping families. But they don’t really seem to care either. It’s understandable. After all, they’re in survival mode too. They just don’t want to get noticed for saying or thinking the wrong things. That would be bad. I’m a homicide investigator. I try to set things right, to give families closure. It’s how I get some peace of mind in this life. But when civilians see me coming, wearing the jet-black uniform of the Confederate Combined Forces, it wrenches at their guts. They don’t see a savior. I want to run. I want to get out of this crazy society. The fact that I’m an officer will help, along with the fact that on this final mission I have a way out. Now they’ve given me a way to escape. My lover Shaheen wants to run too. She wants to get on that jumpship with me and just cruise into the dark loneliness of deep space. Disappear together. But if I decide to run, I know they’ll follow. They’ll hunt me down until I’m dead. I can’t handle this life anymore. But I can hear them screaming in my head right now. We’ll be right behind you.